On one of our weekend hikes in Marin County, Cooper came across a resting rattlesnake and was close to sniffing it while not knowing the dangers of the animal. Fortunately, I was able to recall Cooper before he got any closer to the snake. Ever since that encounter, I wanted to do an aversion training for Cooper to prevent future envenomation by rattlesnakes. 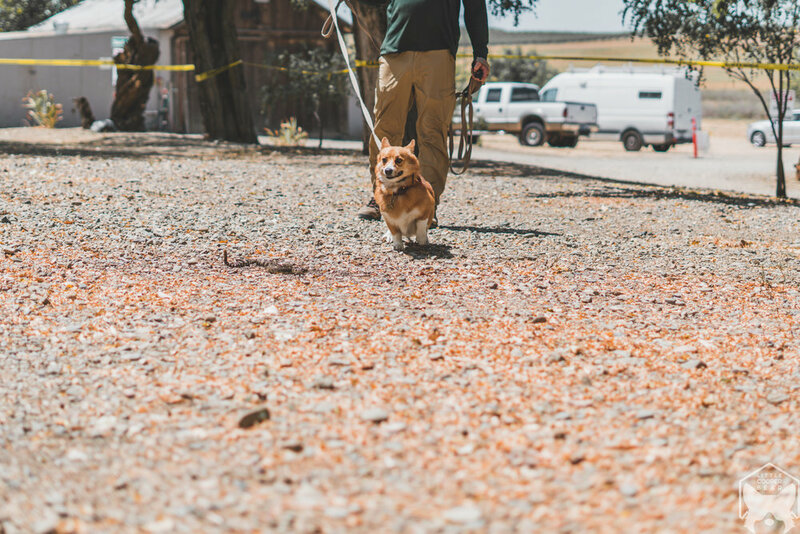 We signed up with Natural Solutions Wildlife Enterprises - Rattlesnake Aversion Training and attended the training in Dunnigan, California (two hours away from San Francisco). The training cost $80 per dog. Since we hike so often and California has six native species of venomous rattlesnakes, I figured that the aversion training would give us more ease of mind if Cooper learned how to avoid rattlesnakes by using his heightened senses. Before the rattlesnakes exposure and introduction, a low-level electronic stimulation collar (e-collar) was put on Cooper. The trainer informed us that the setting was set on low vibration (level three) and would be adjusted according to Cooper's response to the rattlesnakes. The trainer had Cooper on a long leash with a regular flat collar and handled him into the training grounds. The first part (out of three) of the aversion training was exposing Cooper to a small, live, humanely muzzled, juvenile rattlesnake. This initial introduction allowed Cooper to get familiar with the sight of a rattlesnake. As he sniffed and walk closer to the juvenile snake, the e-collar buzzed to stimulate a snake bite and Cooper quickly associated the uncomfortable sensation with the rattlesnake. The trainer made sure to set up Cooper to thinking that it was the rattlesnake that had caused him to feel this uncomfortable pain. The second part focused on scent where a freshly-shed rattlesnake skin was used to help Cooper identify what they smell like. The skin was set up in two areas that was far away from the initial rattlesnake introduction area. During this part, each time Cooper got close to the skin to sniff it, he received a buzz by the e-collar. This taught Cooper to avoid rattlesnakes through smell in the same away when he encountered the juvenile rattlesnake. In the last part of the aversion training, Cooper was introduced to an live, adult rattlesnake (also humanely muzzled). With this last introduction, Cooper gets to fully experience the sight, sound, and smell of a rattlesnake as if he would in the real world. In this process, the trainer guided Cooper towards the adult rattlesnake and as Cooper took notice of it, the e-collar buzzed to stimulate a snake bite. At this point in the training, Cooper is now fully aware of the danger and negative impact the rattlesnake imposed on him. He kept about two feet distance from it but that is still too close since a rattlesnake can strike up to two feet. The trainer applied the final stimulation at two feet of the rattlesnake with a higher vibration and that alone made Cooper jolted. From the last e-collar stimulation, Cooper wanted to get as far away from the rattlesnake as possible. The trainer told us to recall Cooper to see how he would return with the rattlesnake still in the way. At first Cooper stood still while keeping more than three feet distance between him and the rattlesnake. Once I recalled him again, he ran all the way to the side while keeping a large distance from the rattlesnake as he came to me. This ended in a successful rattlesnake aversion training. The training took about 10-15 minutes and it was just enough exposure for Cooper to learned about the potential danger of a rattlesnake. Should we come across another one when we go hiking, I feel more secured knowing that Cooper has rattlesnake awareness to avoid them. From our experience, the trainers were highly knowledgeable and their main priority is the safety of each dogs they are training. 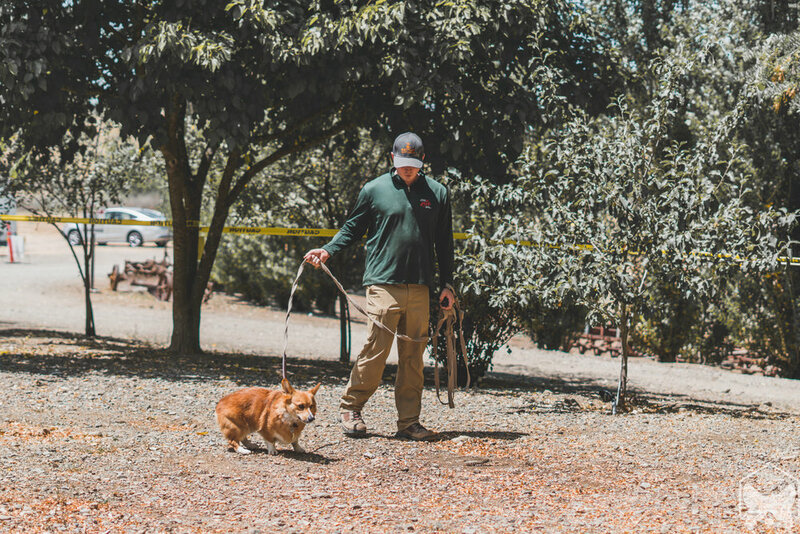 Natural Solutions Wildlife Enterprises is the Nation's leader in professional rattlesnake aversion and have been training/retraining dogs for over 14 years! We will be attending the rattlesnake aversion training again next year as a refresher and to reinforce what Cooper have learned about rattlesnake avoidance. The trainer recommended training to be done once a year for three to four years in a row as a refresher. 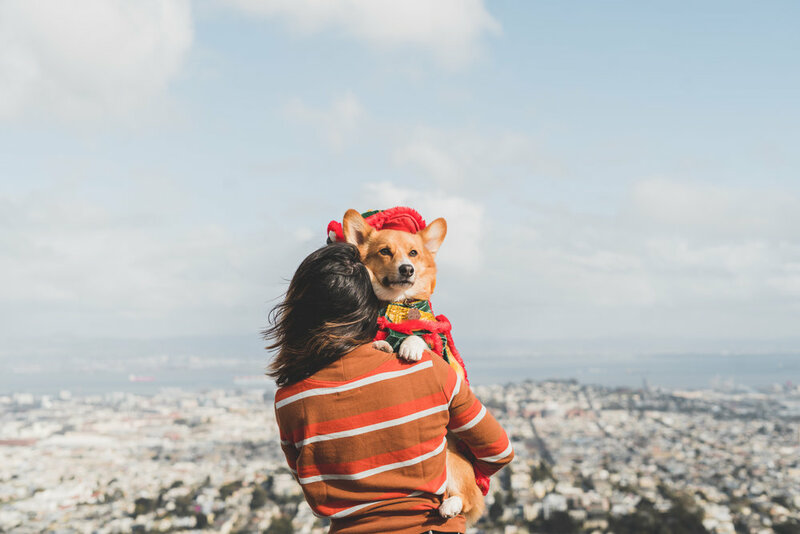 If you and your dog(s) are highly active in the outdoors or you live in an area where rattlesnakes are common, this training can be most beneficial as a preventative measure. Please don't forget that when you come across a rattlesnake or any animals while you're in the outdoors, you are stepping into their home and territory.